Did you know that CONFETTI SYSTEM was one of the vendors at Hitched? *Not that I actually had a disco ball. You would have a disco ball at your wedding. 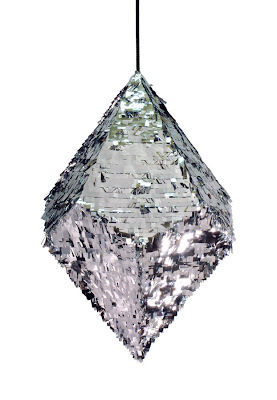 someone asked me what i have planned for my 40th birthday and now i know *one* thing - a sparkly pinata! Dude...for sure. That sounds pimp as hell! Maybe you could not tell anyone...that way if the party needs a little re-livening up, you could just grab a bat and start swinging. That sounds terrifying, actually, but you get what I mean. screw the second wedding. 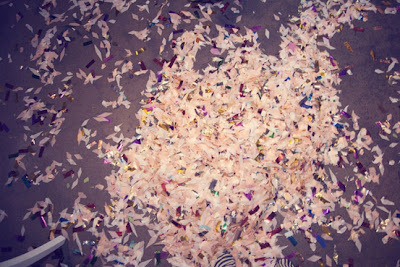 i want confetti system in my every day life. as in EVERY SINGLE DAY. yup! and they look so great just hanging there too... most of the confetti however was from confetti cannons that i spent a small fortune on. 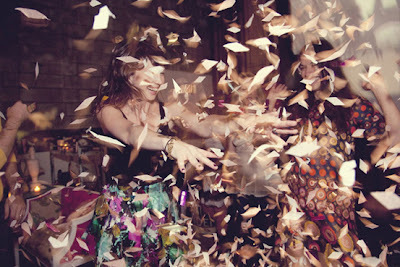 @theflashdance You have confetti cannons? Next party is at your place! ohmahgah i love that. now i'm trying to figure out another excuse to throw a big party.